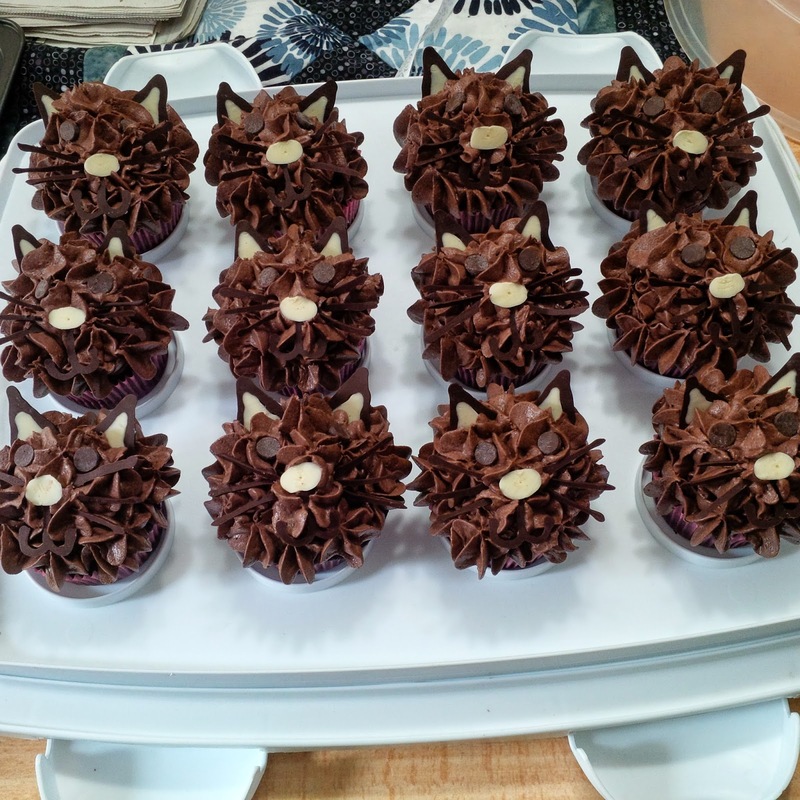 These cupcakes were made to celebrate a Happy Birthday! Size: These are 12 regular sized cupcakes. Taste: The flavour is a chocolate fudge cake. Filling: No filling in these cupcakes. 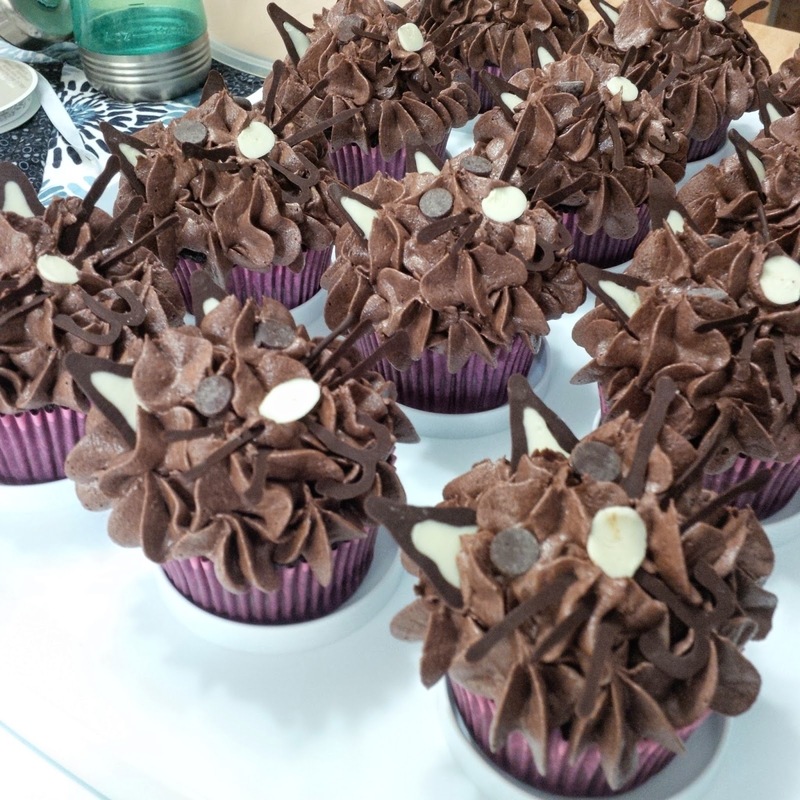 Icing and decorations: These cupcakes are decorated with homade chocolate buttercream. 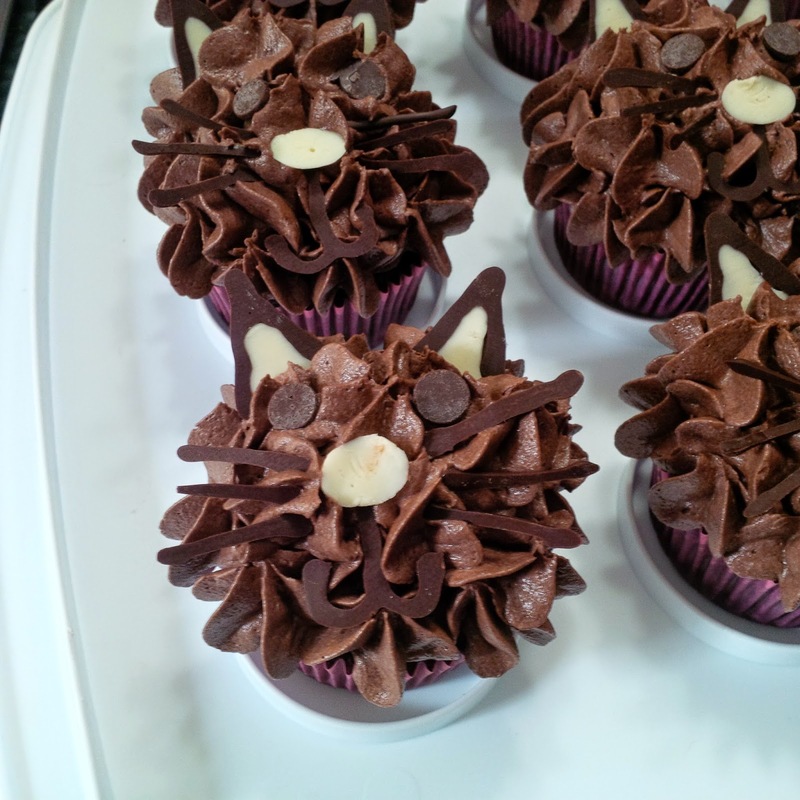 The kitty faces are made with white and dark chocolate.